After months of planning, the 2017 Collaborative is here! 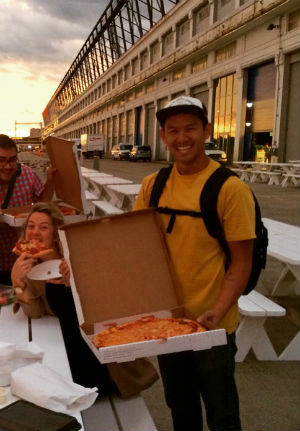 From June 13 to 15, the Cruiseport Boston is the epicenter of social impact sector. The next few days will spawn incredible conversations, valuable introductions, and dynamic energy and passion. But if you’ve ever hosted a large event or conference, you know how much work goes on behind the scenes. Whether you’re joining us at the Collaborative or not, we want to give you a behind-the-scenes look at the planning, research, and elbow grease that make an event like this possible. We’ll also introduce some of the people behind the Collaborative, so if you’re with us in Boston, give these rock stars a high-five. 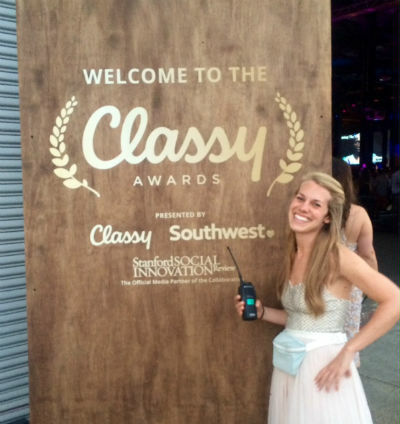 Although the Collaborative and Classy Awards take place in Boston, Classy’s main office is located in San Diego. Pat Walsh, Classy co-founder and chief impact officer, worked closely with the Collaborative’s host committee and other members of the innovative Boston community. Many of Boston’s most exciting and impactful social incubators and thought leaders will be attending and participating in discussions, breakout sessions, and happy hours. Pat (center) at the 2016 Collaborative. But the Collaborative will feature social sector leaders from all over the world. 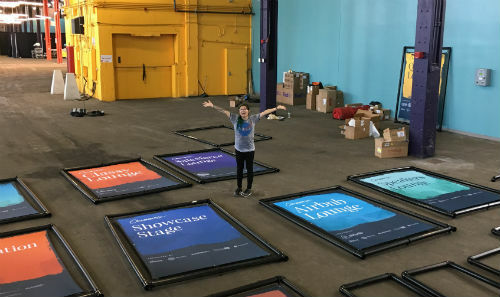 Jess Morris, Classy’s leadership engagement manager, has spent months connecting with founders, funders, entrepreneurs, and nonprofit executives to recruit a stellar program of speakers and panelists. Jess in a pensive moment between calls with members of the Leadership Council. Some of the speakers at the Collaborative will be our Classy Awards Finalists, representatives from 100 of the world’s most impactful and innovative social programs. Our engagement specialist Jeremy Chan worked with hundreds of Nominees and coordinated the presence and programming of Finalists. Jeremy is also in charge of pizza acquisition during venue setup. Finally, Riane Woods has worked tirelessly to find the best possible partners for the Collaborative, including Southwest Airlines, Salesforce, Twilio, and AirBnB. Even though this will be Riane’s very first Collaborative, her efforts have been instrumental in creating the event. 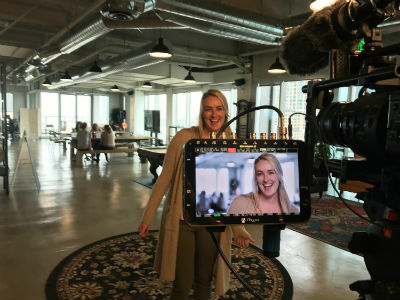 Rianne modeling for Classy’s video team in our San Diego office. 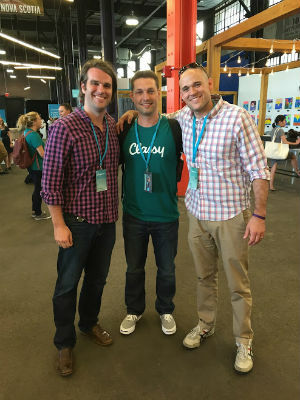 At Classy, we know design is central to the user experience, and what’s true for software also applies to events. Visual design manager Stacey Uy led the way in creating the layout and look of the Collaborative. She’s worked closely with Classy’s event manager, Kimmy Vandivort. Stacey shows off some of the signage she designed for the 2017 Collaborative. Along with helping Stacey bring the Cruiseport venue to life, Kimmy has coordinated logistics and amenities provided at the Collaborative. She spends the entire event directing, managing, and problem-solving. Kimmy is even on the job during the Classy Awards ceremony. That’s her evening wear fanny pack. After months of planning and preparation, the 2017 Collaborative is here and we’re so excited for what’s coming. Along with keynotes, panels, and breakout sessions, attendees will also have the opportunity to explore the Integration Zone to find out how nonprofits are using the Classy API, Salesforce, and other technologies to become more effective fundraisers and expand their impact. 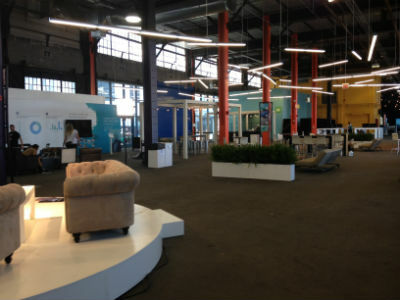 And stop by the Classy Lounge for a look at our newly redesigned Fundraising Suite. Don’t forget to check out the Lab, where several Classy Awards Finalists will present their innovative products and solutions. The Smartfin, for example, allows surfers to collect and transmit important ocean chemistry data. The Shoe That Grows, another Finalist displayed in the Lab, uses durable materials and adaptable design to fit a growing child for up to five years. We are thrilled to welcome more than 1,000 nonprofit professionals, social entrepreneurs, funders, and social sector all-stars to the Collaborative. Keep an eye out for more updates on the Collaborative and of course, the Classy Awards. The 10 Winners are announced live onstage on the final evening of the event. Finally, let us know what you’re loving about the event on social media using the hashtag #Collaborative17.